An intoxicating blend of cassis and black currant extracts at the top will tantalize your senses. The fragrance then moves to an accord of May rose, neroli absolute, davana and osmanthus. Patchouli, vanilla, ambroxan and a blend of woody notes are the finishing touch in the base. Explore the entire range of Perfumes (EDT & EDP) available on Nykaa. 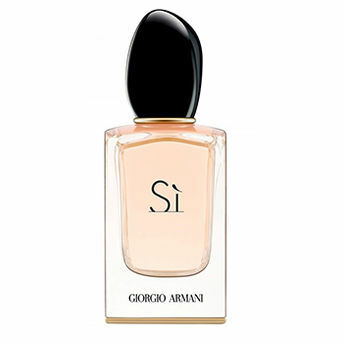 Shop more Giorgio Armani products here.You can browse through the complete world of Giorgio Armani Perfumes (EDT & EDP) .Alternatively, you can also find many more products from the Giorgio Armani Si Eau De Parfum range.